Witnesses took the stand Tuesday to testify in the case of a 3-year-old who suffered "scalding burns" in Campbell County. A man convicted in the drowning of a Campbell County man back in 1984 has died of natural causes in prison. Olen Hutchison, along with 6 others were convicted in the death of Hugh Huddleston of Campbell County back in 1984. Investigators say they drowned Huddleston in order to collect $600,000 in life insurance policies. Hutchison was sentenced to death back in 1991. (WBIR - Scott County) Piles upon piles of leaves cover the ground, and the trails have become harder to navigate this time of year. 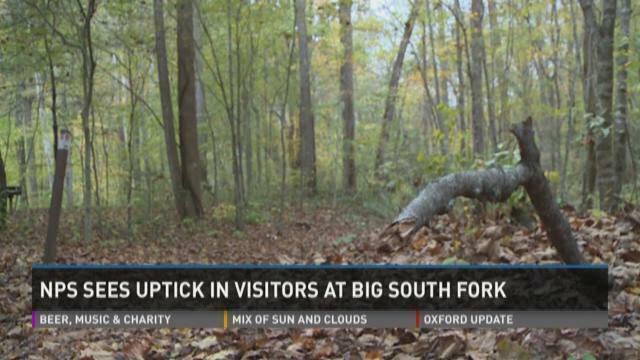 It's all part of what brings people to Big South Fork. (WBIR) A crash during a car chase in Scott County sent two deputies to the hospital early Wednesday morning. According to a Tennessee Highway Patrol spokesperson, the deputies were traveling northbound on Highway 27 trying to catch up to a suspect, who then turned around to travel southbound. THP said the first deputy began to make a U-turn to follow the suspect, but the second deputy couldn't stop because of wet roads. He crashed into the back of the first deputy's vehicle. (WBIR) Hunters in Scott County are already taking advantage of the first time a new kind of bear hunting has been allowed there. The black bear bow hunting season kicked off Saturday, and hunters had already recorded five black bears during the first weekend; two of them were harvested in Scott County. Remote Area Medical has confirmed founder Stan Brock was piloting the plane that crash landed at a local airport. RAM told 10News Brock took off from the Scott Municipal Airport Thursday afternoon and noticed an issue with the engine right away. RAM said Brock made a successful landing, but the plane veered off the side of the runway and into a ditch. Brock was not injured in the crash.